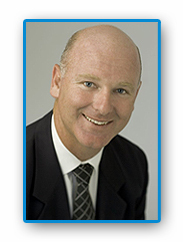 Jason Martin is a licensed Real Estate Agent and Auctioneer and has worked in the Sydney real estate market since 1993. Jason Martin is the co-principal of REMAX Property Specialists at Narrabeen. He is born and bred on the Northern Beaches where he has continued to live and work for the past 42 years. He is supported by his beautiful wife and three fantastic children. Apart from spending time with family and friends, Jason enjoys all things outdoors including fishing, boating, golfing, surfing, snow skiing. He has been involved with the company over the past eighteen years and in that time has developed an expertise and professionalism second to none in all facets of the real estate industry. Extensive tertiary education in addition to his real estate qualifications in the disciplines of business management/commerce has also held him in good stead with the ability to have a greater understanding of client needs on both a personal and financial basis outside the confines of real estate. Over time, Jason has gained the support and confidence of numerous satisfied clients due to his committed and professional approach to property selling and customer service. 1. The ability to identify client needs and surpass their expectations. Any prospective client would be more than welcome to discuss their real estate needs with him whether it be current market trends, idea of property values or simply property selling. He can be contacted on: office (02) 99133200 or by Mobile 0411 497 355. Some of the suburbs where Jason provides professional services include: real estate in Narrabeen; real estate in Dee Why; real estate in Collaroy; real estate in North Narrabeen; real estate in Elanora Heights; real estate in Warriewood; real estate in Mona Vale; real estate in Bayview; real estate in Church Point.